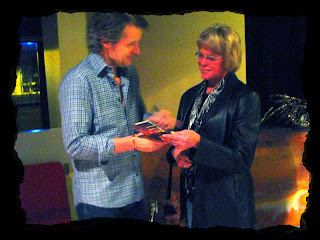 Jim Cuddy was awesome!!!!! Not only because of the music but because I got to go with some of my favorite people :) My Mom, Carter, my brother Ken, my BFF Stephanie and her husband Ian. p.s. Mommy met Jimmy too! 2015 Charity Run for C.M.H.A. 2014 to Present: PACE Trail Race Series donated to C.M.H.A. 2013 - 2014 Award for Generoud Support & Services from F.O.S.S. 2011. Awesome Inc. theme. Powered by Blogger.